Transportation to and from the downtown area complimentary for all guests. 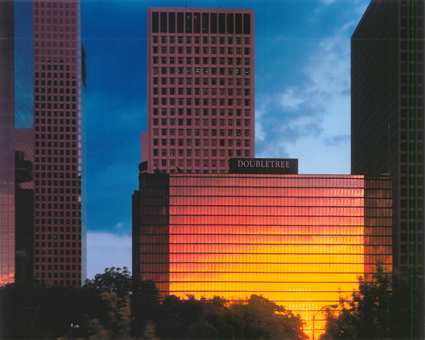 The Doubletree Hotel Houston Downtown is centrally located less than a mile from the city's business district. Guests at the Doubletree are greeted every morning with a delicious breakfast from the on-site Trofi Restaurant. 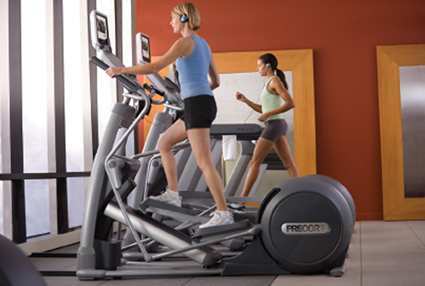 Work up a sweat in the full-service fitness room. Surf the Internet and communicate with family and friends through the free WiFi service. Additionally, valet service, room service and laundry facilities are also available. After breakfast, visit the nearby Toyota Center or Minute Maid Park. 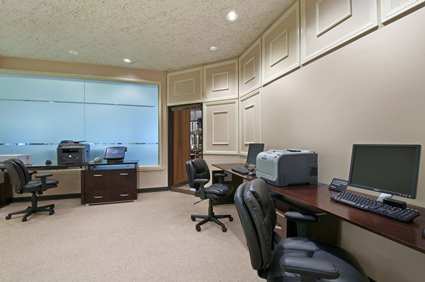 Business travelers can take advantage of the wide range of services, including secretarial, notary public and fax. 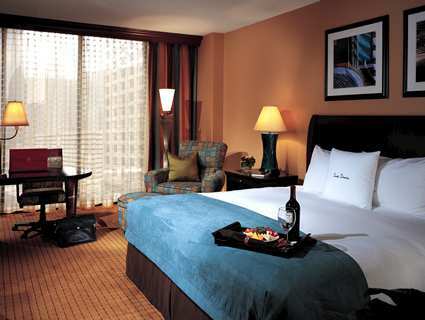 The Doubletree's floor-to-ceiling windows gives guests a spectacular view of Houston's skyline. The hotel's friendly, multilingual staff is always on call to make your stay a pleasant one. Sky-bridges conveniently connect to adjacent buildings including Heritage Plaza. Additionally, the city's underground tunnel system is connected to Doubletree. The lobby lounge is a great place to sip and mingle with other guests. Each spacious room features queen and king-sized beds, coffee tables, LCD televisions with cable, sofa beds, refrigerators and microwaves. The oversize bathrooms have showers, hairdryers and designer toiletries. Roll-in showers are in select suites. Room service is available 24-7. If you're hungry, the Trofi Restaurant has a breakfast, lunch and dinner menu. If you want to eat off-site, family-owned Massa's Restaurant has some of the best seafood in the city. Bombay Pizza serves up great pies. Downtown's Reliant Stadium is a great place to catch a Texans game.